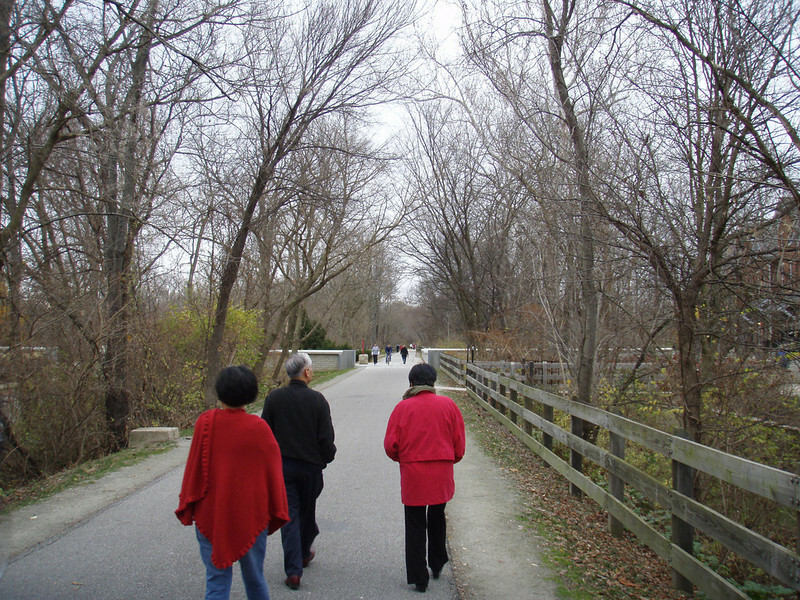 Photo Credit The Monon Trail or Monon Greenway as it is known locally is a 15.7 mile rail-trail stretching from Indianapolis to Carmel, Indiana. The trail sees about 1.3 million users a year and is a highly valued amenity among local citizens. Access to arts and entertainment is one of the highlights of the trail. The Indianapolis Art Center in Broad Ripple Village, Marott Park and Nature Preserve, Indiana State Fairgrounds, and the brand new Palladium at the Center for Performing Arts in Carmel are all easily accessible from the trail. Federal investment in the trail totals nearly $7,000,000 and has been matched by close to $4,700,000 in local funds. The asphalt trail connects many communities throughout the region and has been a significant economic boost for the local economy.